Golden triangle tour is planned in such a way that it brings to you the the best of India tour and travel experience. As Indian culture is immensely rich, it brings one of the finest delicacies with it and exploring the prominent cities make it even more worthwhile and significant. Without a tad of doubt, Golden triangle tour is an ideal tour package catering to a wide variety of visitors witnessing India. 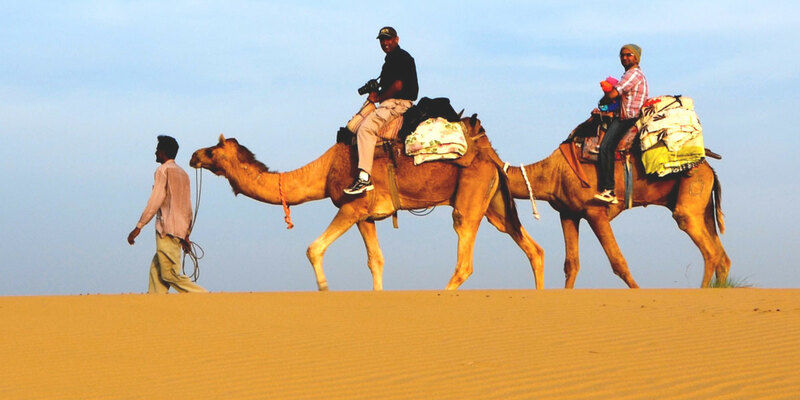 Moreover, with Camel Safari Tours, you can always stay ahead and explore the vicinities in style. On the first day, our representative will receive you at the Delhi International airport. He will accompany you to the hotel thereafter. Delhi, is the capital city of India and that is what makes it a fine metropolis with an exciting blend of past and the present. As the city is a wonderful introduction to the amalgamated culture, it is just perfect from travel point of view. This day is dedicated for taking you to New Delhi and Agra. We will After taking our breakfast, we go for the sightseeing tour of Old Delhi. As we always begin from Raj Ghat, this tour also coves the Red Fort, Jama Masjid, Qutub Minar along with other prominent destinations. We also take you through the India Gate, the President's House and the Parliament building. Overnight stay will be in Delhi. This day is specially reserved for flying to Jodhpur. After you check in to the hotel, you enjoy your breakfast and get ready to enjoy your tour around Jodhpur. As we know that the imperial city of Jodhpur is situated at the rim of the Thar Desert, it gives us enough opportunity to explore its vicinities. After enjoying our breakfast, we drive to Manwar, the camel camp. The specialty of this place is that tourists throughout the world come here to enjoy the Camel camp. The camel trek of the village is extremely famous as you can see the villagers reach here with their camels. You can enjoy a short camel trek in the afternoon. You will be staying at the camp at night. On this day, after enjoying our breakfast, we enjoy a ride through the desert. Thereafter, we again take our tour to Jodhpur from where you take flight to Jaipur. Known as the Pink City, it is one of the most fascinating places. The city takes its name from its Founder Jai Singh II. This day is reserved for exploring the Jaipur city. You also enjoy the monuments with Amber Fort as well. Get ready to be amazed with Rajasthani Fort, the interior construction of which has a lovely blend of contemporary Muslim and Hindu style of architecture. We also go to the City Palace of Jaipur, which is also a worth visiting place for the tourists, who come to this city. We also go for Jantar Mantar, Hawa Mahal, with many other prominent destinations. You enjoy your breakfast in the city hotel and then proceed to Agra, the city of Taj. En route, we enjoy the Fatehpur Sikri, a red Sandstone marvel. Coupled with the palace, we also visit the famous Buland Darwaja, the largest gateway. Spend some time in Fatehpur Sikri and we then we precede our journey towards Agra. Check in your hotel and relax. On this day, in the morning, in the vicinities of Agra, we visit the Taj Mahal. Get ready on this day to witness the marvelous beauty of the Taj, an epitome of love. You will be amazed to see this white marble tomb shining amidst the sunrays and its beauty enhances in moonlight. We also visit Agra Fort.